Few flowers beautify a landscape like the iris. Their large, colorful, frilled and ruffled blooms are the epitome of floral elegance. 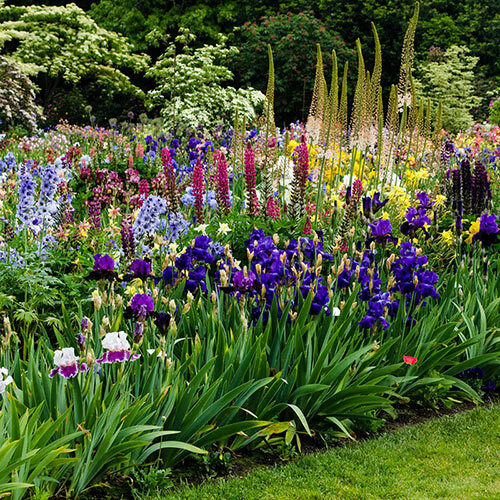 Besides being remarkably beautiful, irises are a hardy, reliable, easy-to-grow perennial that attract butterflies and hummingbirds and are great in cut-flower arrangements. Their sturdy stems and long, grass-like leaves create a wonderful vertical accent, making them ideal for planting alongside pathways and in other borders. Growing different varieties together makes a real splash in the garden. 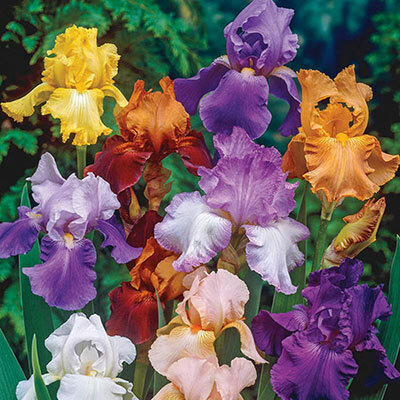 To make that easier for gardeners, we have introduced the Tall Bearded Iris Mystery Bag. 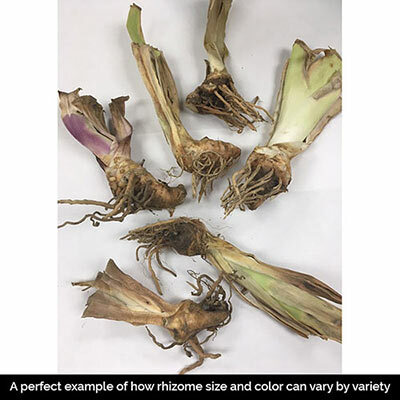 Our Dutch flower experts have added many beloved varieties to the mix, assuring that you'll receive a random assortment of six, top-quality rhizomes in each grab bag. Each rhizome will be individually labeled.